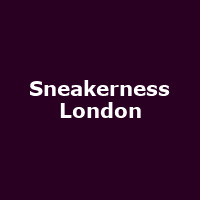 "Since its start in 2008, Sneakerness has become the most important event series of the European sneaker and streetwear scene with annual stops in Amsterdam, Cologne, London, Paris, Warsaw and Zurich. International brands and major sneaker stores as well as private dealers and collectors from all over Europe travel to this happening to buy, sell and swap sneakers. From classics and rarities to the newest trends and impulses in urban culture, there is a lot to experience at every Sneakerness weekend - topped off by a colourful side program with parties, exhibitions and more!" The 2015 event was cancelled.